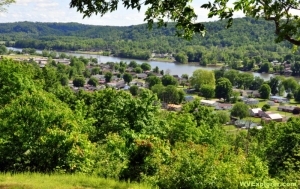 Bancroft, WV (West Virginia), in Putnam County, is located on the Kanawha River two miles south of Winfield, West Virginia. The Amherst-Plymouth Wildlife Management Area adjoins Bancroft to the north and east. Incorporated in 1952, the town was named for coal-mine operator George Bancroft. The town was once the site of coal mines but is now principally a bedroom community of the Charleston-Huntington metropolitan area. Bancroft is located approximately six miles north of Interstate 64 at Nitro, West Virginia, and 15 miles northwest of Charleston, West Virginia. Bancroft is located in the Metro Valley Region in western West Virginia.